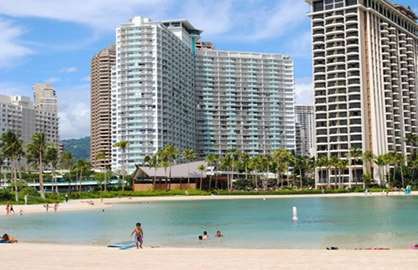 WaikikiBeachRentals.com - New Remodeled Condo at Ilikai! The living are has all new modern quality furniture a sofa bed , leather chair, large 46" flat screen TV, BluRay DVD player and full crown molding. 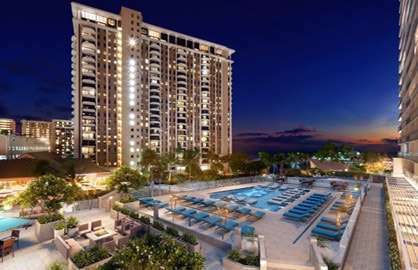 The whole condo has beautiful travertine floors that are a breeze to keep clean and look like a million dollars. 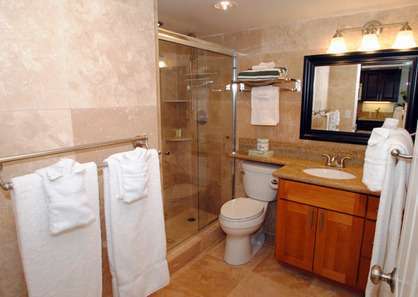 A brand new bathroom is all travertine with walk in shower, new granite counter tops and all new bathroom fixtures. 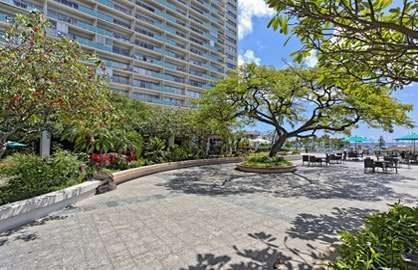 Don't delay, if you want quality at a great price, you can't beat Ilikai condo 821. 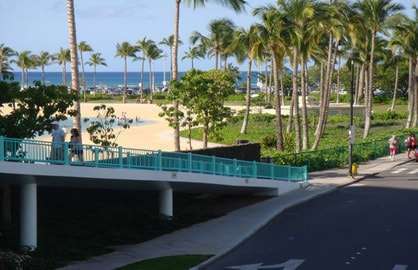 Ilikai 821....... we loved every minute of this Hawaii holiday. First time visiting the island. 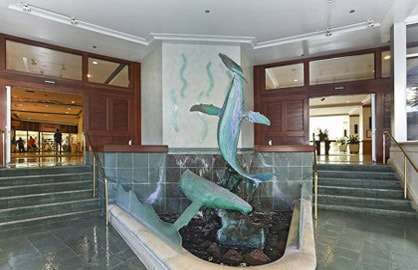 The condo was perfect and centrally located to everything you could need. I highly recommend. Easy to check in with a door code. The whole place itself was amazing. I am coming back for sure. 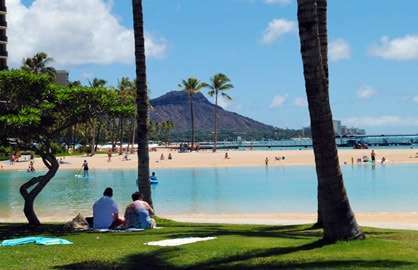 I will be recommending Waikiki beach rentals to everyone. Thanks so much. 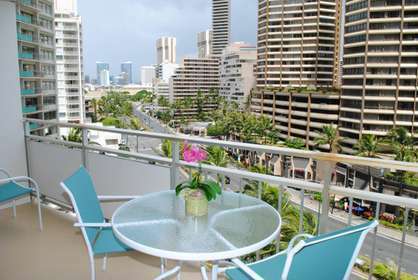 Ilikai 821 - Centrally located - just next to the Hilton Hawaiian Village and very close to the Ala Moana Shopping Center. 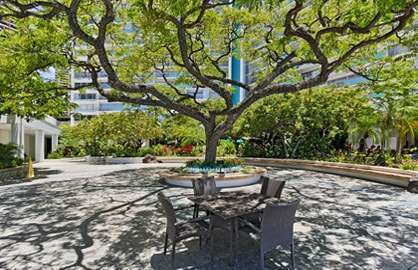 Since it is on Waikiki it is steps away from the beach, restaurants and shops. The unit was very clean and modern. Checking in and out was painless. Plenty of kitchen utensils to use. Groceries can be purchased from the Food Pantry nearby (438 Hobron Ln). Aloha Sushi across the street is a great place to get delicious and affordable sushi. 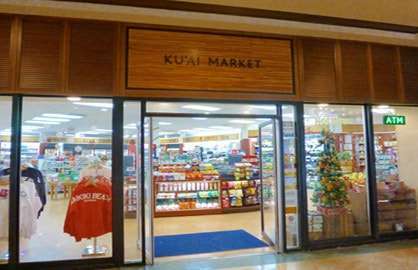 Laundry was very easy - there are coin operated washers and dryers on every floor of the Ilikai. We very much enjoyed living here. Huge thanks for granting us a free late checkout. 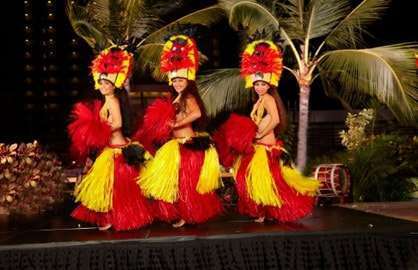 We highly recommend this unit. 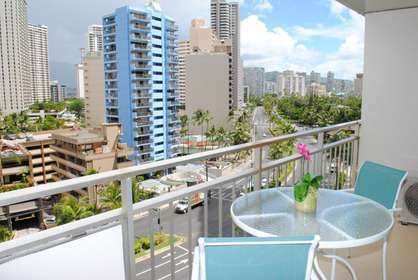 Ilikai 821 - My party of 5 was very pleased and satisfied with this condo, the location was also very convenient. 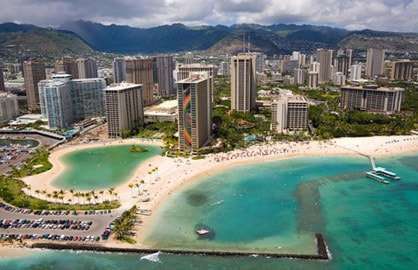 My friend who lived there said it was a great and probably the best choice of all Waikiki considering location, price, and accomodations. I am coming back for sure. Just come home from a wonderful holiday, staying at the llikai, Unit 821. 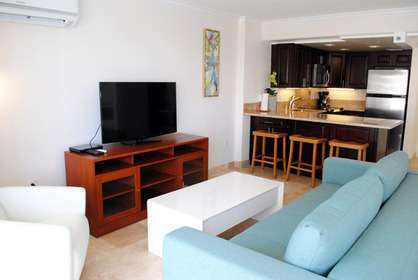 This unit was perfect for our stay, very comfortable, easy to keep clean and perfectly located. 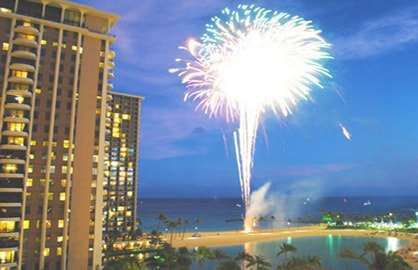 We would like to thank the owners and Waikiki Beach Rentals for the use of this facility. 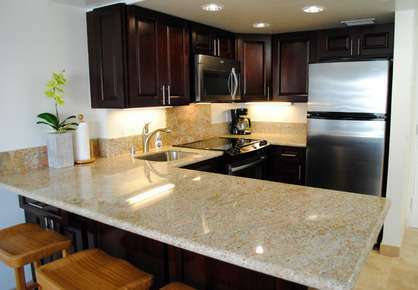 It is very tastefully restored and functional. 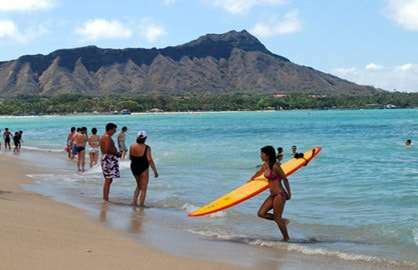 The location is central to most of the Restaurants, beaches and shops in Waikiki. Thank you for a wonderful holiday. 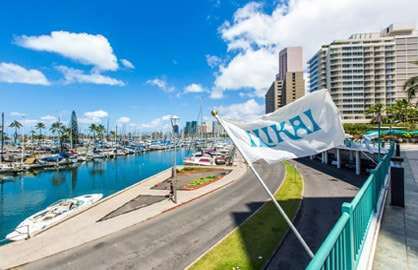 Awesome unit Ilikai 821, great location. 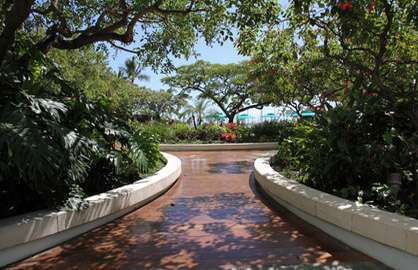 Loved the big Lanai, we enjoyed our breakfast out there every morning. Perfect for families. 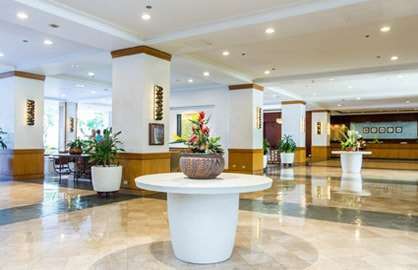 Way bigger than your standard hotel room. I would definately recommend staying here. We will be back. Ilikai #821 Thanks to Scott and the team for an amazing first time online rental experience! 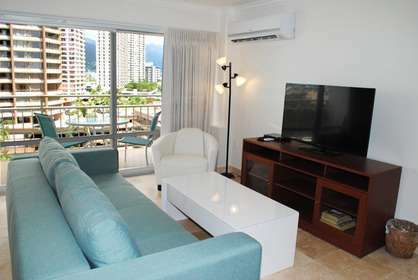 This condo was perfect for us and I can highly recommend it and Waikiki Beach Rentals for booking your next Hawaii Vacation! 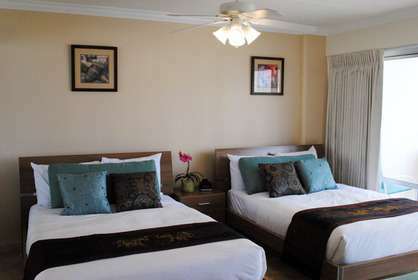 The unit is perfect, tastefully decorated and has everything you need for either a short or long stay. 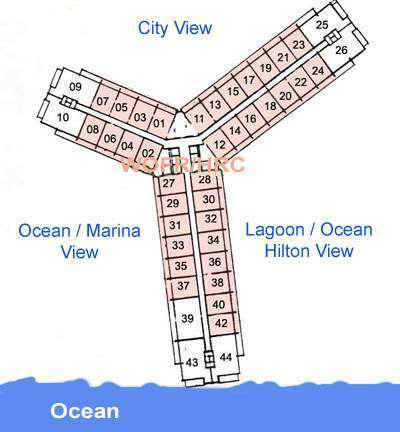 Perfect location with restaurants, shops, bus and trolley stops, beach and marina all at your doorstep! 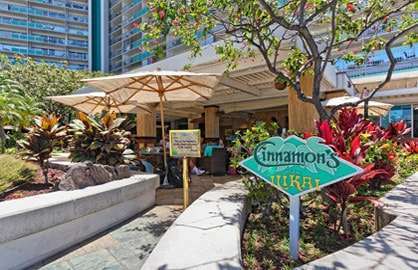 The Ilikai has the most perfect Bar n Grill for lunchtime or evening meals, staff are fabulous and prices are cheap with great food!! 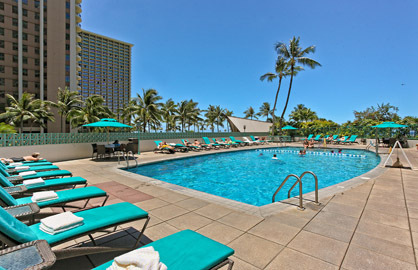 The pool is awesome and we swam there every day (sometimes twice a day!) Perfect for kids! 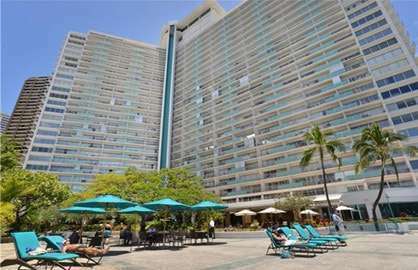 This will be the place we stay on our next visit!